Every year we celebrate Binky Day on 1st June. As rabbit owners know a binky is a rabbit’s happy dance. In fact it demonstrates joy in a-bun-dance. Rabbits will shake their heads, jump in the air, kick out, twist, even turn around in mid air, all to show joy and happiness. They need plenty of space all the time but especially so that they can binky. We hope you enjoy it and that you’ll send us your clips and videos next spring for next year’s Binky Day video. Please spread the word to everyone you know, rabbit people or not, about binkies, and what this joy this bunny dance expresses. It’s easy to see why rabbits are the perfect symbol to celebrate spring, beautiful to look at and bursting with life. They are a common sight in our fields and verges; munching on grass, running, jumping and digging. And, according to a UK charity, these behaviours are what we should be looking for in our pet rabbits. The Rabbit Welfare Association and Fund (RWAF) is the largest UK charity with the aim of improving the welfare of domestic rabbits. This Easter the charity is urging owners to spring their rabbits from the confines of the hutch, into a large secure exercise area of course!. 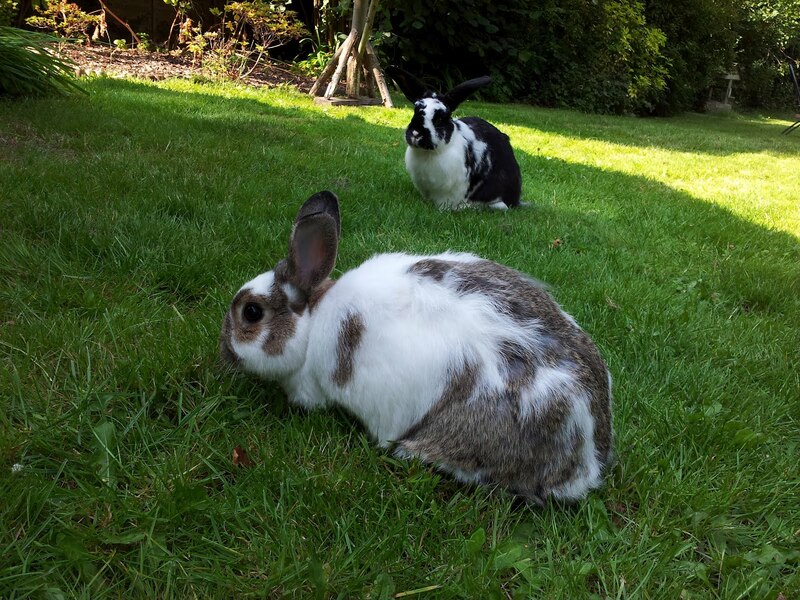 The charity is promoting its A Hutch is Not Enough campaign, which aims to educate rabbit owners and pet retailers on what rabbits need to lead full and contented lives. It stresses the importance of a large secure enclosure in which the rabbits can run and jump freely. “A Hutch should be a shelter as part of a bigger enclosure, never the sole accommodation,” said Richard. “People get much more pleasure from their pet rabbits when they make a bit of effort to give them the life they deserve. And if you’re thinking of getting a rabbit but can’t commit to meeting their needs fully then you should think again.